Remember the days of braiding and sharing friendship bracelets—those symbols of our tight bonds of brother and sisterhood? Even as we grow into adulthood, our friends remain key ingredients in our lives. With Wanderlust’s exclusive collection for Madewell, you can show your friends how much you appreciate their role as anchors in your world. Offered in colors that evoke summer camp, each bracelet is not only handwoven by local artisans in Cambodia, but it’s also created using recycled plastic from post-consumer water bottles. Grab a couple bangles for you and your amigos as a reminder of how we can always use a little help from our friends. Remember the days of braiding and sharing friendship bracelets�those symbols of our tight bonds of brother and sisterhood? Even as we grow into adulthood, our friends remain key ingredients in our lives. With Wanderlust's exclusive collection for Madewell, you can show your friends how much you appreciate their role as anchors in your world. 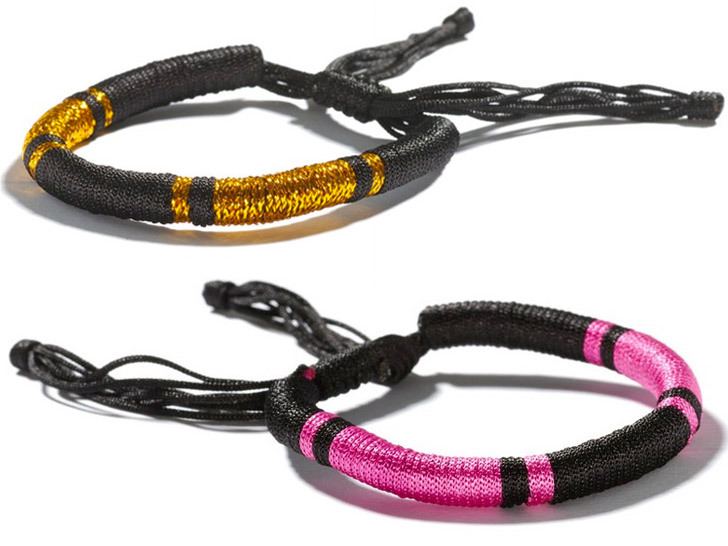 Offered in colors that evoke summer camp, each bracelet is not only handwoven by local artisans in Cambodia, but it's also created using recycled plastic from post-consumer water bottles. Grab a couple bangles for you and your amigos as a reminder of how we can always use a little help from our friends.